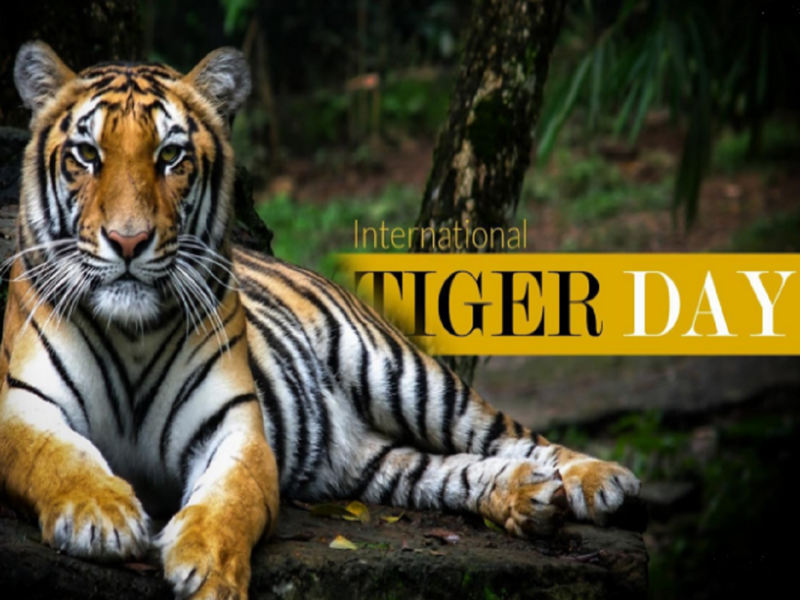 As the world marks International Tiger Day today,International World Tiger Day aims to bring attention on most critical facts about Big cats and their decline. As the world marks International Tiger Day today, we would like to highlight the grave danger these big cats find themselves in. The tiger is the largest of the world’s big cats and this magnificent creature, with its distinctive yellow and black stripes has a day that is dedicated to it. It was first celebrated in 2010 at an international summit courtesy the World Wildlife Fund and other international bodies that had been called in response to the shocking news that 97% of all wild tigers had disappeared in the last century, with only a few hundred now left alive. Tigers are on the brink of extinction and International World Tiger Day aims to bring attention to this fact and try to halt their declining numbers. A hundred years ago, 100,000 tigers roamed in Asia, but now only 3,000 survive in the wild. Three subspecies have already gone extinct, Bali (1940s), Caspian and Javan (both 1970s), while no critically endangered South China tiger has been seen for a number of years, and it is feared it might too be extinct. The number of Siberian Tigers is also reduced to less than 500. They are officially classified as "endangered” by the IUCN Red List of threatened species. Amid rampant deforestation tigers have been reduced to hunting domestic livestock, which leads to local communities retaliating by hunting tigers. Man-animal conflict has its own gory outcomes. Climate change is a huge factor which is wreaking havoc with tigers' habitats, especially the coastal erosion in India's Sundarban islands. Poaching has played a massive part in this extinction reducing the numbers to mere hundreds. The illegal trade in tigers: banned in 1987 was worth 11 billion dollars a year, owing to a boom in demand from wealthy businessmen who saw tiger skins and bones as status symbols. Their claws, teeth and whiskers are also used extensively in traditional Chinese medicine. A tiger's parts can sell for 30,000 dollars. Ruthless as humans can be, armed with sophisticated weapons, the poachers lay steel traps to ensnare the tigers before beating them on their heads with sticks and rods after they have exhausted themselves, trying to escape. Shallow pools fill with poisoned water and baited with dead animals are also employed. But over the past few years global wildlife communities have striven day in and day out to be vigilant about the decreasing numbers and controlled this fall in numbers with care and sincerity. The gorgeous feline is back, as a species, from the brink of extinction, thanks to initiatives like International Tiger Day. This year, International Tiger Day 2016 comes in the wake of a 22 percent increase in tiger population across the world, according to the World Wildlife Fund (WWF) and Global Tiger Forum report that was published earlier this year. The WWF has said the global tiger population had declined to historic lows, with several species of tigers being wiped out entirely. However, that trend has been reversed due to tireless efforts by environmentalists and occasions like the International Tiger Day, which, according to their official website, is held annually on July 29 to draw the entire world’s attention to the preservation of tigers. India, of all nations can be proud today as according to figures available on the official website for International Tiger Day, the largest tiger population in the world is in India, which has 1,706 of the 3,948 tigers across the globe, primarily in Asia. The increase in number of tigers has happened as the main reasons behind their near-extinction- loss of habitat, poaching and man-animal conflict- have been addressed. The cause has been time and again been supported by stars like Amitabh Bachchan and cricketer MS Dhoni thereby creating wholesome awareness. Laws in sanctuaries and tourist spots have also been made stricter. Tiger conservation is the need of the hour and we should take up arms against the cruelties these poor animals have to deal with. Support the cause by sharing this on Facebook, spreading the word and being an aware citizen.